Posted on 15 August 2013 and filed under Miscellaneous. So just in time for his birthday, I had the puzzle solved: personal – yes, with initials, nice – of course, useful – listed above. 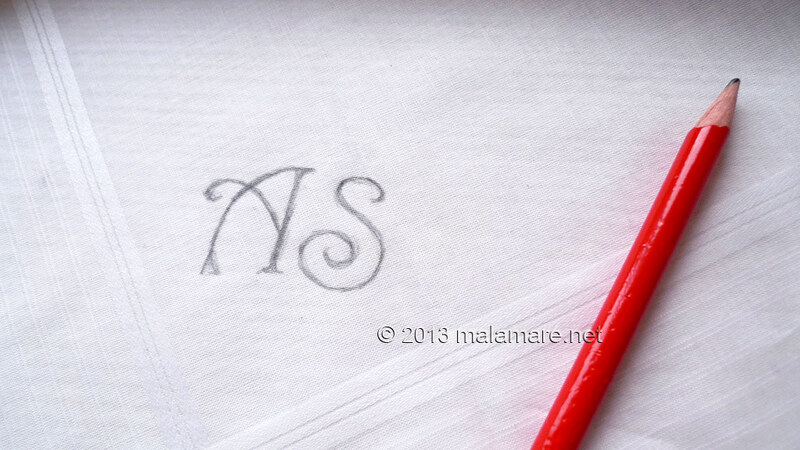 I’m going to make hand embroidered handkerchief, actually two, for my friend! 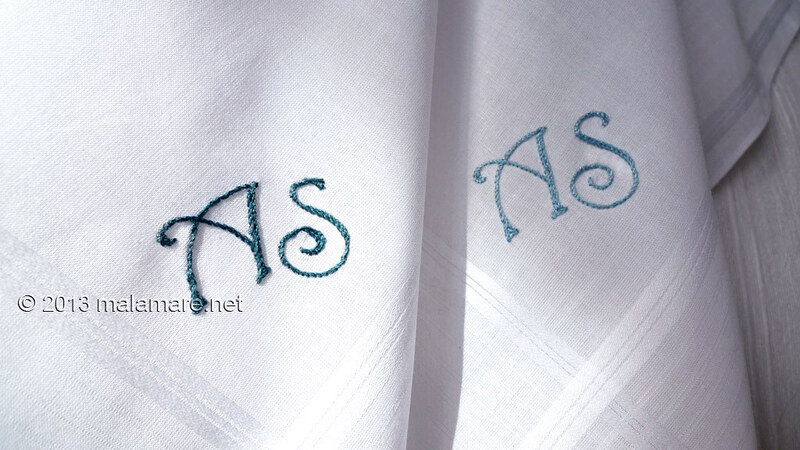 First I washed two large white cotton handkerchiefs – to make sure that they would not change their dimensions later in wash.
Then I choose letters for the initials. 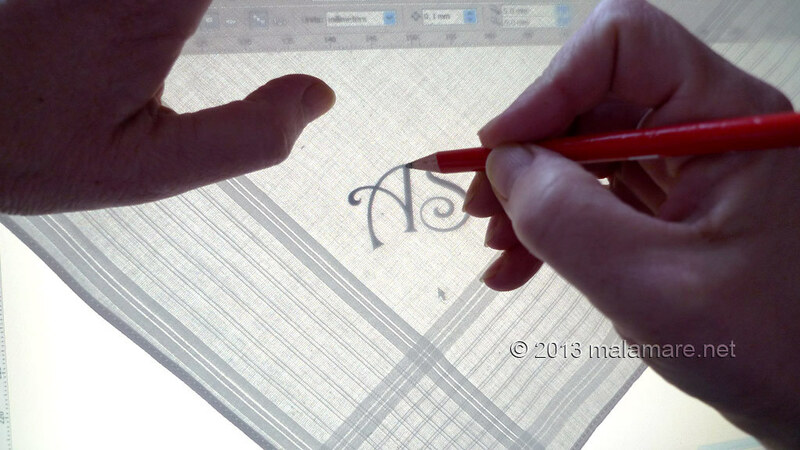 As I did not feel like bothering with printing and copying onto fabric with carbon paper, I copied the letters directly from the screen to the handkerchiefs. The pencil had to be very soft, and the pressure almost none. 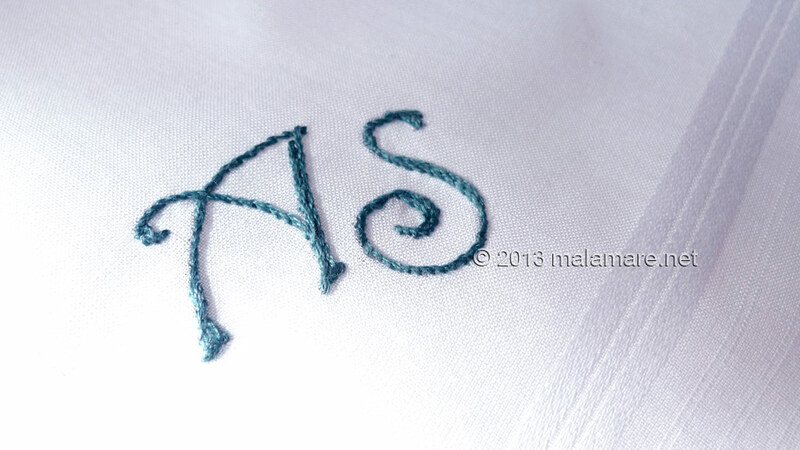 Using cotton thread in two shades of blue colour I hand embroidered the initials, AS, embroidering tiny stem stitch. 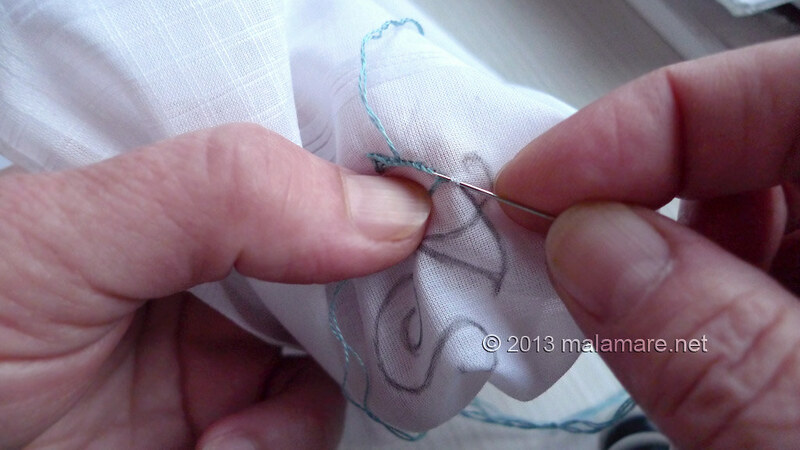 It has not happened yet that the thread I use for embroidery bleeds colour when washed. 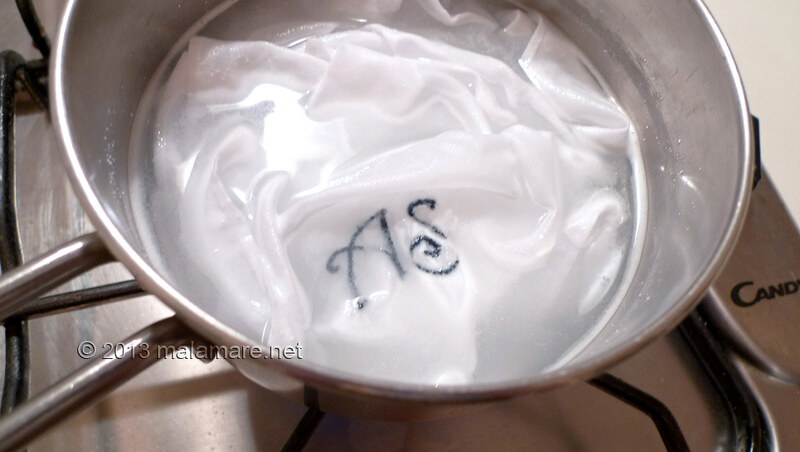 But you can never be to careful, so I tested the colour old fashioned way: some water and detergent in the pot, soak the handkerchiefs, and cook them for a while. Of course, the colour holds perfectly. I dare to conclude that my friend was happy with the gift, as the moment I gave him the handkerchiefs, he replaced the handkerchief that was in his pocket with one of them. That made me happy! Hello! I love your idea! What font did you use for your initials? Hello Emily! Thank you! The font is Harrington, http://www.fontspace.com/sam-wang/harrington .